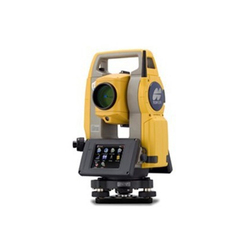 We are a leading Retail Trader of sokkia automatic level, 20sec transit vernier theodolite, 10sec german pattern theodolite, garmin gps72h, pentax automatic levels and electronic theodolite from Ahmedabad, India. 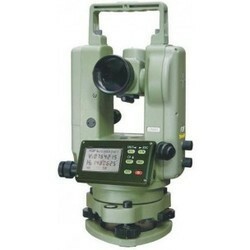 We are engaged in providing high quality Vernier Transit Theodolite for the clients. 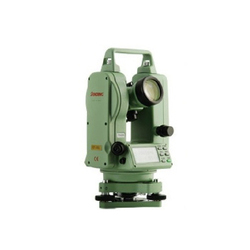 The Vernier Transit Theodolite is a dependable companion for surveying needs. 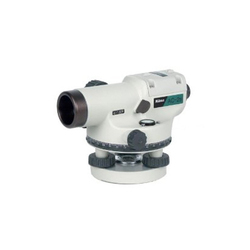 The Vernier Transit Theodolite has a self contained construction so that all sensitive parts are protected from dust and moisture. 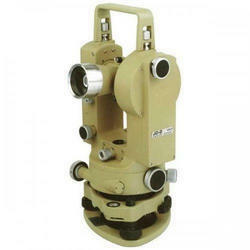 Our Vernier Transit Theodolite is equipped with high quality optics to give clear sharp image. Size 175mm, Internal focusing type, Coated optics ERECT - IMAGE for direct reading, Confirming to I.S. Specifications No. 2988-1975, Watts’s Pattern, Fitted with shifting tribratch and Optical- Plummet arrangement. The instrument is of self contained construction so that all sensitive parts are protracted from dust and moisture. 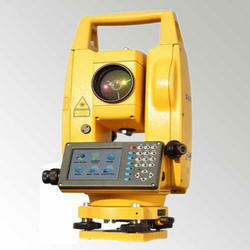 The instrument is equipped with high quality optics to give clear sharp image. Magnification 23 times All optical parts are blue coated to delete the glare reflection. Sights are fitted on the telescope to facilitate quick alignment of the levelling staff. The verniers and circles are graduated to 10/20 Seconds accuracy are covered with glass windows to avoid dust and moisture. 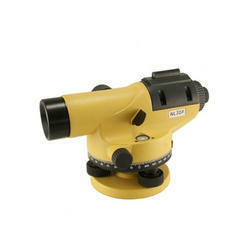 The eye-piece of the telescope helical type and is suitable for quick setting. 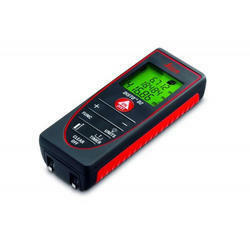 The instrument is made from carefully selected brass and gunmetal for convenience in operation and the ability to withstand continuous usage under all conditions without effecting the accuracy or adjustment. The verniers circles are graduated on embedded Sliver and are covered with glass window. 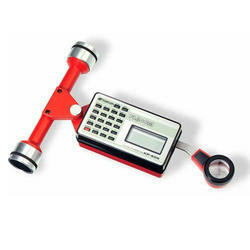 Supplied with all Standard accessories in highly polished wooden box with Special Aluminium Telescopic Tripod Stand. Weight (W/out Box) 6 Kg. Size 175mm, Internal focusing type, Coated optics ERECT - IMAGE for direct reading, Confirming to I.S. 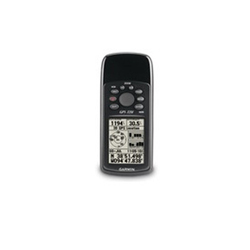 Specifications No. 2988-1975, Watts’s Pattern, Fitted with shifting tribratch and Optical- Plummet arrangement. The instrument is of self contained construction so that all sensitive parts are protracted from dust and moisture. 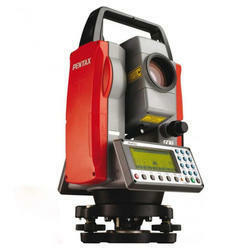 The instrument is equipped with high quality optics to give clear sharp image. Magnification 23 times All optical parts are blue coated to delete the glare reflection. Sights are fitted on the telescope to facilitate quick alignment of the levelling staff. The verniers and circles are graduated to 10 Seconds accuracy are covered with glass windows to avoid dust and moisture. 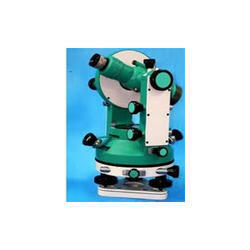 The eye-piece of the telescope helical type and is suitable for quick setting. 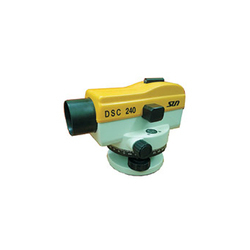 The instrument is made from carefully selected brass and gunmetal for convenience in operation and the ability to withstand continuous usage under all conditions without effecting the accuracy or adjustment. The verniers circles are graduated on embedded Sliver and are covered with glass window. 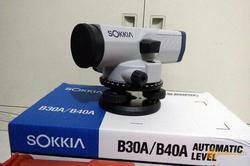 Supplied with all Standard accessories in highly polished wooden box with Special Aluminium Telescopic Tripod Stand. We are assisted by our truly skilled and seasoned professionals in trading and supplying a precision-engineered range of Tripod Stand. Procured from the certified vendors’ of the market, offered stand is used suitable solution for record information and features special collapsible powder coated tripod stand for board. This stand is highly praised for its salient features like optimum performance and durability. With years of experience and knowledge in this domain, we are engaged in offering an excellent range of Aluminum Elevating Tripod. 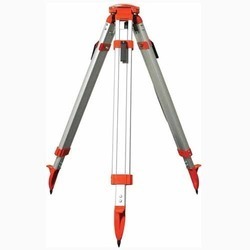 Available in various sizes and dimensions for our clients to choose from, this tripod is suitable for all measuring instruments. 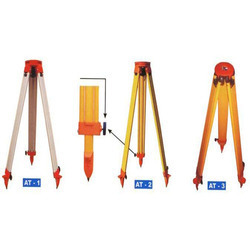 Designed by our vendors experts using top notch quality raw materials and modern technology, offered tripod can be availed by our clients at affordable prices.